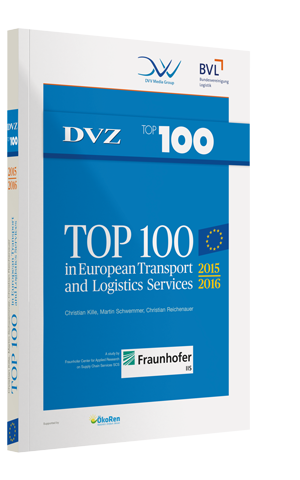 TOP 100 in European Transport and Logistics Services 2015/2016. The study also contains the eBook-Version - order now! Since it was founded, BVL International has omoting the ongoing development of logistics issues and raising awareness for the importance of logistics among the business community and the public at large. Transparency in international markets provides a valuable foundation on which managers in industry, trade and the service sector as well as the worlds of science and the media can base their analyses, their decision-making processes and their informed reporting activities. The study has been revised and updated since the last version was published in 2013. It presents even more in-depth analysis and statistics and reflects the diverging economic developments in all countries of the EU plus Norway and Switzerland. Special attention is given to analysis in the fields of the Automotive, Consumer Goods, Machine Engineering and the Chemicals /Pharmaceuticals industries. This compendium therefobeen prre belongs on the desks of as many logistics and supply chain managers as possible and serves as a useful tool in these persistently difficult times.